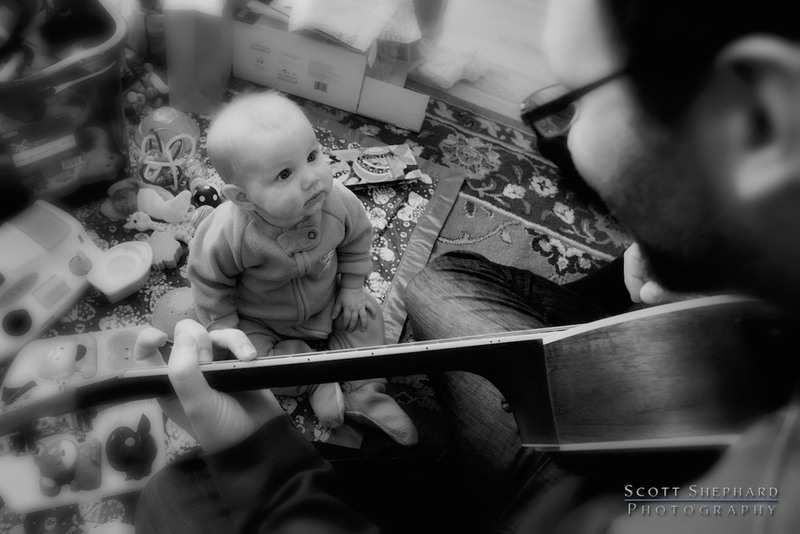 Glenyce Jane Shephard sits enthralled by her father, Brian, as he serenades her. It was a perfect photographic moment! His Biggest Fan by Scott Shephard is licensed under a Creative Commons Attribution-NonCommercial-NoDerivatives 4.0 International License.